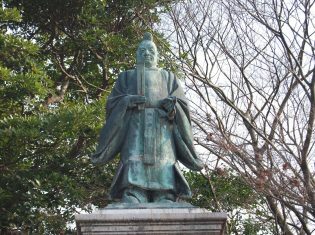 Nagasone Kotetsu (1596-1678) was known by the name Okisato until he entered the priesthood, and took on the name Kotetsu. He was born in Nagasone, in the Omi region, and went on to become a very successful swordmaker in the capital of Edo. This well, with which Kotetsu was said to have used to practice his swordmaking, remains to this day near the lakeshore of Nagasone. It is also said that the blade of Kondo Isami, commander of the late-Edo Period (1603-1868) Shinsengumi patrol, was a Kotetsu.